We can provide clinical resource that supports service implementation at a local level. Our Clinical Support includes mentoring and education in a “hands on” environment, to enable healthcare professionals to manage patients better at a primary care level. 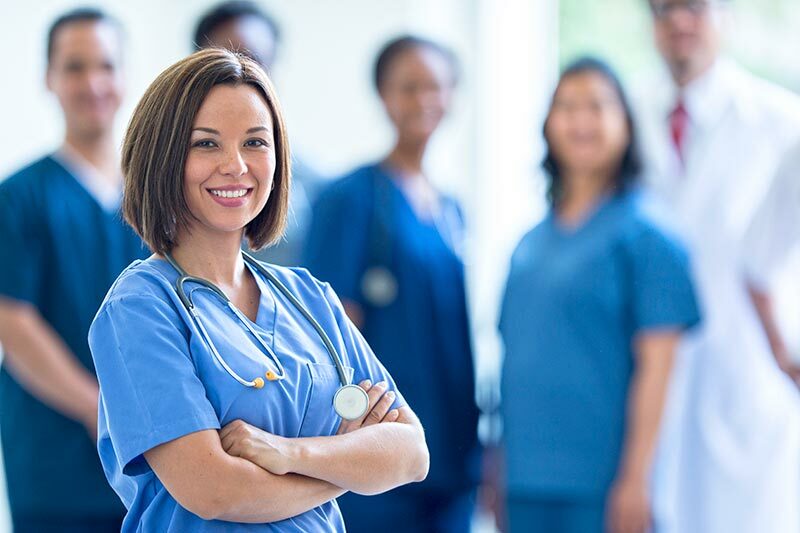 We can provide this service through dedicated outsourced clinical personnel - this may consist of a nurse or a pharmacist, depending on your needs. Alternatively, we can provide clinical resource through a local clinical specialist; a nurse, pharmacist or clinician. Using this model, Oberoi Consulting will directly contract local specialists, as nominated by your team. In addition to “hands on” clinical support, the nominated clinician will provide education and mentoring in line with local guidance and endorsement. The Sunderland West and Sunderland East Federations (both part of Sunderland CCG) asked us to support their key objective of stroke reduction for patients with atrial fibrillation (AF). The AF lead, Dr Fadi Khalil, Sunderland CCG Executive GP from the Broadway Medical Practice, along with the CCG medicines optimisation team, made the decision that there was a need to improve anticoagulation levels in primary care for patients diagnosed with AF based on AF NICE (CG180) guidelines and required both an audit and clinical support solution to deliver this. We provided support through "Enhance Stroke Prevention in AF" an audit service, developed by Oberoi Consulting and funded by a medical education grant from Bayer HealthCare. This service supported the identification of high risk AF patients who may benefit anticoagulation. In addition, we recruited a team of local heart rhythm specialist nurses who followed up on the audit results from Enhance SPAF. The nurses provided practical “hands on” support - patient reviews, education and mentorship - to all participating practices. Clinical staff from each practice were debriefed on next actions following the audit Clinical mentorship from the specialist nurses ensured implementation and long term embedding of the NICE guidance. AF prevalence increased to a level 0.53% higher than the England average. 15% reduction in patients with a CHADS2>1 or CHA2DS2Vasc >=2 on an anti-platelet. 10% (75) additional high risk patients with Atrial Fibrillation and Atrial Flutter were anti-coagulated. 9 out of 10 practices completed the review with a total of 345 patients notes reviewed. AF prevalence increased to a level 0.28% higher than the England average. 25% reduction in patients with a CHADS2>1 or CHA2DS2Vasc >=2 on an anti-platelet. 8% (78) additional high risk patients with Atrial Fibrillation and Atrial Flutter patients were anti-coagulated. 13 out of 15 practices completed the review with a total of 331 patients notes reviewed.